These are challenging times! We are being bombarded with this message from every angle, personally and financially and it seems that uncertainty is the prominent energy. 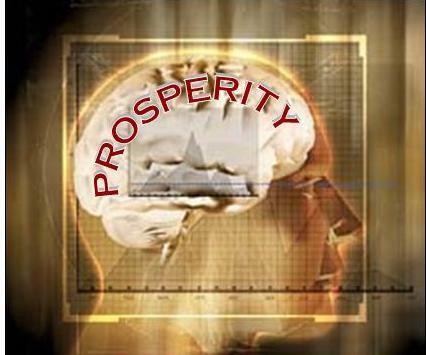 When this message comes into our awareness we have a choice; we can be victimized by the current circumstances or we can view this challenge as an opportunity to practice prosperity and wealth consciousness. When you are caught up in the doom and gloom and social consciousness about the state of our economy and where the new POTUS is leading us (as many are at the change of leadership) you will attract more of the doom and gloom. Ralph Waldo Emerson said “The only thing that can grow is the thing that you give energy to”. I would like to invite you to give your thought energy to having a Wealth Mindset. How do you cultivate the Wealth Mindset? First become aware of the information you choose to take in and avoid the constantly negative news. Many people watch the news right before going to bed but let me ask you something? Are the negative conditions of the world the last thing that you want planted into your mind before you go to bed? Your unconscious mind never sleeps so what you put in your mind right before bed is what you give your unconscious mind to focus on all night. Implant your mind with thoughts of gratitude, prosperity and abundance instead. The second way to cultivate the Wealth Mindset is through gratitude. Be grateful for where you are right now. Whether you are employed, unemployed, in business for yourself, or a stay-at-home parent, there is a gift and an opportunity where you are right now in your life and when you express gratitude, it opens you up to recognize the gifts. The third way is to look for opportunities. There is opportunity everywhere. In challenging times like these, the entrepreneurial spirit is awakened. There is no greater time than the present to start a business. The greatest wealth in America is rooted in tough periods in history. An entrepreneurial venture is not always about starting a huge corporation. It may be as simple as starting a housekeeping service, a lawn mowing service or working as an independent representative in a Multi-level Marketing company. In these challenging times it is the entrepreneurial spirit and the true ingenuity of the people that provide the change in the economy. Begin asking yourself what you can do to create your own economy that will assist in uplifting the global economy? President Obama gave us the call to action in his 2009 inaugural speech and I would like to end with a quote that calls upon us all to step up to the plate and it’s as relevant today as it was then. This entry was posted in Mindset, Wealth Attraction and tagged Barack Obama, business development, business growth, gratitude, Mindset, mindset mastery, overcoming challenges, POTUS, prosperity, Ralph Waldo Emerson. Bookmark the permalink.